Say goodbye to stubborn fat and hello to CoolSculpting®! 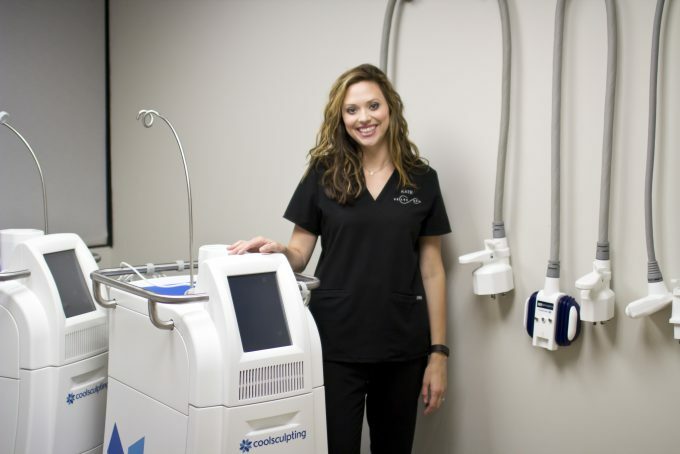 CoolSculpting® is an extraordinary procedure for a number of reasons, and one that I’ve seen evolve over the past several years into a patient favorite. After witnessing the progression of this treatment, one thing is for sure – patients consistently have a positive experience and are thrilled with their results! I can attest to this personally, having had the procedure performed not long ago! I also hold an advanced certification in CoolSculpting from CoolSculpting University, am incredibly passionate about this procedure and truly believe in the science behind it. The treatment itself is relatively new to Seiler Skin. After years of seeing patients concerned with stubborn fat, Dr. Seiler began evaluating various non-invasive cosmetic treatments that were designed to address these issues. His evaluation process included carefully studying the science behind these treatments and confirming that their results are both proven and significant, and fully assessing all available devices to ensure we only offer our patients the very best. He ultimately found that only one fat-reduction device exceeded his standards and truly stood out from other similar treatments – CoolSculpting. So, what exactly is CoolSculpting? It’s essentially a fat-freezing procedure that freezes, crystalizes and permanently removes stubborn fat cells. However, as this is not a weight loss procedure, you should maintain a healthy diet and exercise lifestyle so that you do not gain weight in other areas. To learn more about the specific areas CoolSculpting can treat or the science behind the treatment, click HERE. Before performing CoolSculpting (or any procedure) on a patient, we go through an extensive consultation process, which allows us to truly customize the treatment for each patient. This includes a discussion about specific problem areas, taking measurements and providing detailed information about the treatment and what to expect. These steps ensure we are able to deliver desired results! Patients who respond best to CoolSculpting exercise regularly, eat healthy and want to address fat that simply won’t respond to these proactive efforts. For example, shortly after I had my first baby, I decided to have CoolSculpting performed on my abdomen. Not only did I reach my goal weight, but I looked the best that I had in years! My abdomen was smaller than it had been pre-pregnancy, and I was motivated to work out even more so than before. Even during my second pregnancy, I didn’t gain as much weight as I had during my first. However, individuals with more significant weight issues can also benefit from this treatment as a “kick-start” or supplement to their diet and exercise regimen. Patients in this category generally require multiple treatment sessions to achieve their goal(s). My personal experience is not unique, though – when I speak to patients whose results have peaked (typically 12 to 16 weeks after treatment), the response I hear most frequently is “I feel so much better in my jeans!” CoolSculpting is such a great option not only for looking good in a swimsuit, but also in clothing that may squeeze or reveal fat. One last thing – regardless of whether you’re being proactive about a problem area before beach season or just want to look and feel better in your clothes, getting CoolSculpting is NOTHING to be embarrassed about! In fact, you should feel extremely proud that you are doing what it takes to achieve the body you want and deserve. If you’re ready to take the first step, call us and schedule your consultation. The only thing you have to lose is that unwanted, stubborn fat!